Welcome to PokedwithaStick Studios. The art and design of Jenn Hayes. 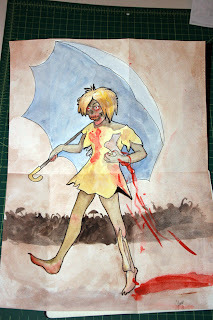 The PokedWithaStick Studio's blog is relatively new, but I've been making art under my own name for a while. If you're new to my work, please check out my former blog, Jenn Hayes' Sketchblog for a bigger selection of some of my older and recent work. I promise to keep this blog active as I continue to promote my work under my new studio's name. Thank you so very much for all your support, I really appreciate everyone who enjoys what I do! 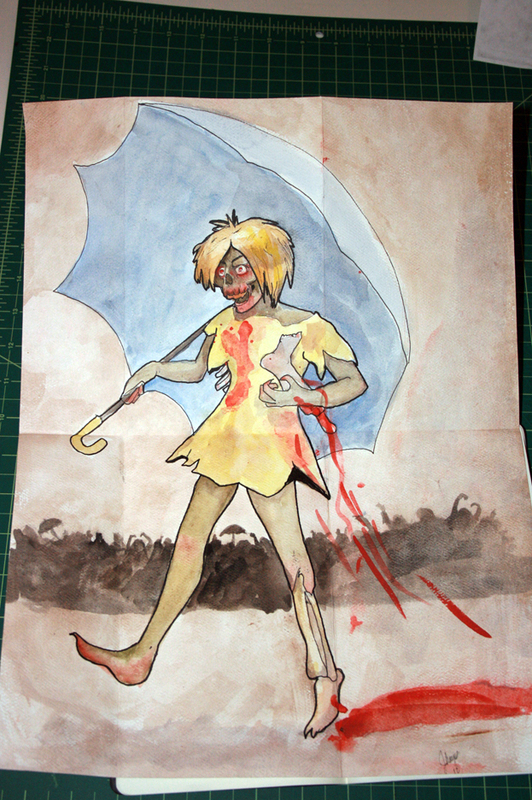 A morton salt zombie that I did in early 2011. I'm an illustrator that likes to incorporate my sense of humor in my work. To put it simply, if my work makes someone smile, or makes someone happy, my job is done.